A butterfly sat motionless on the airport runway as a huge jumbo jet thundered towards it. The earth shuddered as the monster approached, but effortlessly that little butterfly with a couple of swift movements fluttered out of its path. That jumbo jet worth hundred of millions of dollars with all its sophisticated computer equipment and powerful engines can travel thousands of times faster than the butterfly, shift hundreds of people around the planet effortlessly on its wings - but anyone of us would choose instantly to be the butterfly than the jumbo for one simple reason: the butterfly has life. The dead matter that is the jumbo is encaged by its lack of life, and the butterfly has the potential for freedom and infinite potential because of its spark of life. This is the real nature of meditation, the discovery of our innermost nature that sets everyone of us free, for the real nature of life is freedom. Our problem is we look outside for ourselves. We somehow fall into the idea that we will discover our satisfaction by 'doing things' or reaching for some kind of material or career goals, that our soul will magically somehow become visible to us in the sheer unfolding of life. It does not. We simply must turn our eyes inward to see our soul. There is no other way. While we encage ourselves with our search for gratification outside, we deny ourselves the infinite freedom within. Interesting that we are known as ‘human beings’. The only other ‘beings’ usually referred to are ‘beings’ from other planets or perhaps God-like ‘beings’. It is not common for other animals to be referred to in this way – we do not usually speak of dog ‘beings’ or fish ‘beings’. 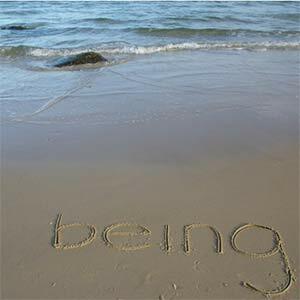 The dictionary refers to ‘being’ as ‘a person or thing that exists or the state of existing’. Why are we known in this manner? It is amusing because in the spiritual context ‘being’ is exactly the point. It is very easy to philosophize and talk and muse about all kinds of deep spiritual perspectives, but from the point of view of our actual spiritual progress, what we ‘be’ is the most important thing. That is, how we live our spirituality. Perhaps a better description of the human condition would be ‘human doings’. The common reality of humanity is a concentration on ‘doing’ and ‘having’ and grabbing and possessing, with little focus on who we are and what we are 'being'. To truly live our spiritual life is the most important principle these classes could proffer. To make a change in our lives, as you remember, requires the efficient utilization of the change cyclel (awareness, willingness, potential, action and result – class 5) To make that change lasting, requires ‘being’. It’s another really simple idea, but extremely powerful. Being requires us to change our state of mind permanently. Now that probably doesn’t sound too hard, but, believe me, it is. The thing your ego holds onto most fervently is your present state of mind and it will defend it to the death. So you need to practice this often. It is a skill that is learned and is the basis of any true spiritual life. For example, to ‘be’ loving requires the absence of fear which is the opposite of love as a starting point. We need to have pure trust and pure faith as the foundations. And we need to open our heart and radiate the flow of love from the depths of our own innermost self. To do this as a meditation exercise, you could try and consciously work on all of those elements. We could start by accepting that we have fear to release but empowering ourselves with the belief that we can be perfectly loving (awareness and willingness increasing potential). 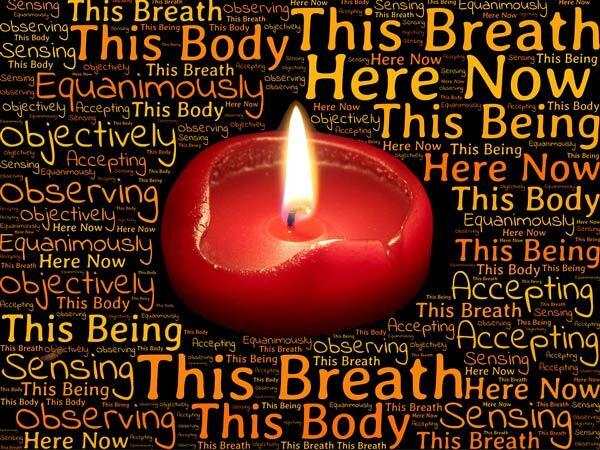 A simple way to approach this might be to visualize ourselves connecting with the perfect flow of love that is our real nature on our inward breath and letting go of any fear or anxiety on the outward breath. This could be defined as the action of loving. Then it is for us to analyse the result with positive empowerment. We could explore the qualities of unconditional trust and perfect faith as a result of the unconditional loving process. This simple little exercise would be the beginning of ‘being’ loving. Gradually as we practise we would find ourselves becoming more loving and less fearful and in the end a perfectly radiating ‘being’. Most of us are very familiar with the value of goals. There simply is no better way to achieve objectives than to set goals. For your spiritual journey, setting targets is almost compulsory. The easiest method is to meditate and discover your life goals, and then work on goals for the next 77 years, 7 years, 7months, 7 weeks, 7 days, 7 hours and 7 seconds, obviously making sure that the interim goals are targets that can be met and are all intimately cognizant of our life goal. This is so important and you need to daily remind yourself of the activities you are involved with and be sure that they are helping you to reach your interim or life goals. Take a little time at the end of your next meditation to sit with paper and pen and write down your life goals, and then think about achievable targets for the next seven years, seven months etc. Write them all down. If you want to, frame them and put them in your meditation place, so you can daily realign your intentions and focus to your goals. 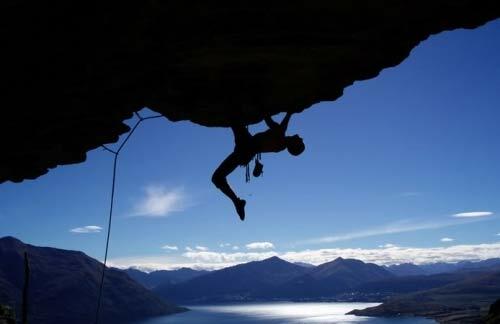 The achievement of your interim goals should serve as an inspiration and reinforcement to your life goal. It will help keep you centred and focused and give your spiritual life structure. We have found that each individuals spiritual journey is an unfolding that seems to concentrate on specific areas at different times. We need to be aware of what these lessons are, so keep looking for the insights in the coincidences and/or the events of your life, dreams and intuitive feelings. With these inputs try and decide on what it is you should be focusing your energies and then set little goals for yourself to live those lessons. It might be, for example, as simple as aspiring for more purity in your life. You might try and tell yourself to at various times during the day consciously remember that you am working on being more pure, you could set goals for yourself - as simple as "In addition to my regular meditation I will meditate 7 times for 3 minutes on purity today". Once you have achieved that goal for a day or two you will find yourself feeling very fulfilled. This is an exercise in expanding the 'aah' moment. This is what we call those moments of real meditation when perception shifts from the physical to the spiritual. These moments may happen any time, not necessarily in a structured meditation - e.g. 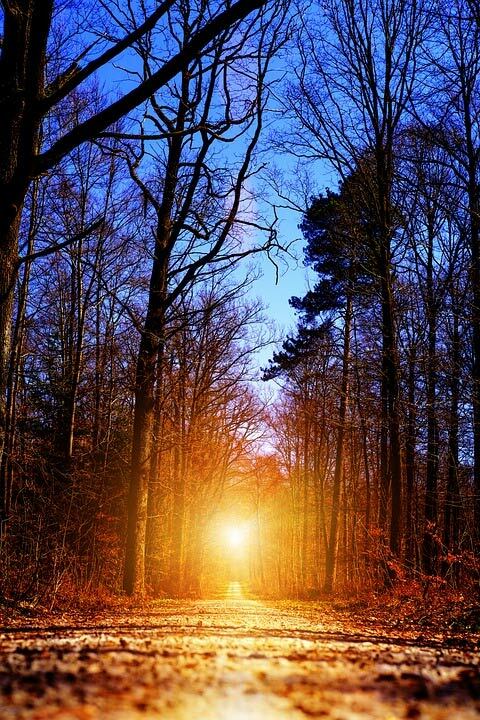 catching a wave or walking through a forest, listening to music or watching a sunset. We must fundamentally be aware of the dynamics of this process, it is almost scientific in its application. Be aware that as a starting point we need to transcend the regular inputs we get from our physical senses, and to relax and allow our heart to meditate in the way it chooses. Remember that our fear and expectation are the two biggest problems to the new meditator. So, prepare for your meditation as usual and closing your eyes, remembering an "ahh" moment, work on slowing your breath down to as slow that is comfortable. Long slow, deep breaths usually help. Then gradually imagine that everything that is you is slowing down. See your blood flow slowing, feel your mind slowing and gradually imagine turning your eyes inward to your heart. Then feel everything stopped. Feel that your entire physical and emotional nature has stopped. And deepen your concentration upon your heart until everything outward has stopped and inwardly you are directing your consciousness to the infinity within. 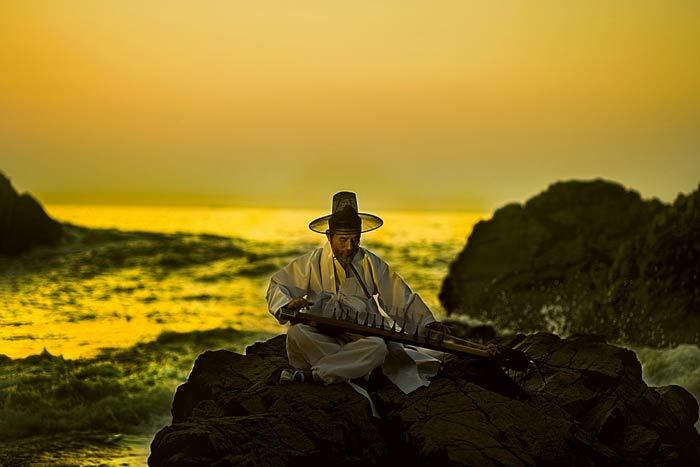 Don't allow even the slightest physical movement, your whole nature is stillness. Now concentrate on 'be-ing' your heart. Expand the 'aah' moment for as long as is comfortable.